The Spanish economy is the fifth-largest in Europe behind Germany, United Kingdom, Italy and France; and the fourth-largest in the Euro zone, based on nominal GDP statistics. In 2012, Spain was the twelfth-largest exporter in the world and the sixteenth-largest importer. Spain is listed 25th in UN Human Development Index and 28th in GDP per capita by the World Bank, thus it is classified as a high income economy and among the countries of very high human development. According to The Economist, Spain has the world's 10th highest quality of life. Following the financial crisis of 2007–08, the Spanish economy plunged into recession, entering a cycle of negative macroeconomic performance. Compared to the EU's and US. average, the Spanish economy entered recession later (the economy was still growing by 2008), but stayed there for longer. The economic boom of the 2000s was reversed, leaving over a quarter of Spain's workforce unemployed by 2012. In aggregated terms, the Spanish GDP contracted by almost 9% during the 2009-2013 period. The economic situation started improving by 2013-2014. By then the country managed to reverse the record trade deficit which had built up during the boom years attaining a trade surplus in 2013 after three decades of running a trade deficit. The surplus kept strengthening during 2014 and 2015. In 2015 the Spanish GDP grew by 3.2%, a rate not seen since 2007, before the crisis struck; such growth rate was the highest among larger EU economies that year. In just two years (2014-2015) the Spanish economy had recovered 85% of the GDP lost during the 2009-2013 recession, which got some international analysts to refer to Spain's current recovery as "the showcase for structural reform efforts". Strong GDP growth was registered also in 2016, with the country growing twice as fast as the Euro zone average. In this regard, the Spanish economy is forecast to remain the best-performing major economy in the Euro zone also in 2017. Spain's unemployment rate heavily decreased from 2013 to 2017, although the real unemployment rate is much lower, as there is an estimation of millions of people working in the grey market, people who count as unemployed or inactive but still perform jobs. The real Spanish GDP is as well about 20% bigger, as the underground economy moves annually 190.000 million euros (224.200 million USD). From any high income European country, just Italy and Greece have more underground economy than Spain has, so Spain has as well a bigger purchasing power and a smaller GINI coefficient. Spain because of fianacial crisis asked for help like other troubled countries like Greece to EU by the European Stability Mechanism.Because of last years finacial crisis 10.2 million people in Spain live below the absolute poverty line, equivalent to a poverty rate of 22.3 percent. This makes Spain the third country in the European Union with the highest levels of inequality. When Spain joined the EEC in 1986 its GDP per capita was about 72% of the average of its members. At the second half of the 1990s, the center-right government of former prime minister Jose María Aznar had worked successfully to gain admission to the group of countries launching the euro in 1999. Due to its own economic development and the EU enlargements up to 28 members, by 2007 Spain had achieved a GDP per capita of 105% of European Union's average, which placed it slightly ahead of Italy (103%). Three regions were included in the leading EU group exceeding 125% of the GDP per capita average level: Basque Country leading with Madrid and Navarre. According to calculations by the German newspaper Die Welt, Spain's economy had been on course to overtake countries like Germany in per capita income by 2011. Unemployment stood at 7.6% in October 2006, a rate that compared favorably to many other European countries, and especially with the early 1990s when it stood at over 20%. Perennial weak points of Spain's economy include high inflation, a large underground economy, and an education system, beside UK and the United States, which OECD reports place among the poorest for developed countries. Growth during the 1997-2007 period had been led by a real estate bubble fed by historically low interest rates, massive rates of foreign investment (during that period Spain had become a favorite of other European investment banks) and an immense surge in immigration. At its peak in 2007, construction had expanded to a massive 16% of the total gross domestic product (GDP) of the country and 12% of total employment. During that time Spain built up a massive trade deficit, financed by capital inflows –including short term speculative investment– was directed mostly to consumption and property rather than at long term fixed assets such as manufacturing plants and the like. The downside of the real estate boom was a corresponding rise in the levels of personal debt; as prospective homeowners had struggled to meet asking prices, the average level of household debt tripled in less than a decade. This placed especially great pressure upon lower to middle income groups; by 2005 the median ratio of indebtedness to income had grown to 125%, due primarily to expensive boom time mortgages that now often exceed the value of the property. Noticeable progress continued until early 2008, when the 'global financial crisis' burst Spain's property bubble. A European Commission forecast had predicted Spain would enter the world's late 2000s recession by the end of 2008. At the time, Spain's Economy Minister was quoted saying, "Spain is facing its deepest recession in half a century". Spain's government forecast the unemployment rate would rise to 16% in 2009. The ESADE business school predicted 20%. By 2017, Spain’s GDP per capita had fallen back to 95% of European Union's average. Spain had continued on the path of economic growth when the ruling party changed in 2004, maintaining robust GDP growth during the first term of prime minister José Luis Rodríguez Zapatero, even though some fundamental problems in the Spanish economy were becoming clearly evident. Among these, according to the Financial Times, was Spain's rapidly growing trade deficit, which had reached a staggering 10% of the country's GDP by the summer of 2008, the "loss of competitiveness against its main trading partners" and, also, as a part of the latter, an inflation rate which had been traditionally higher than the one of its European partners, back then especially affected by house price increases of 150% from 1998 and a growing family indebtedness (115%) chiefly related to the Spanish Real Estate boom and rocketing oil prices. In 2011 the deficit reached a high of 8.5%. For 2016 the deficit objective of the government is around 4%, falling to 2.9% for 2017. The European Commission has demanded 3.9% for 2016 and 2.5% for 2017. The Spanish government official GDP growth forecast for 2008 in April was 2.3%. This figure was successively revised down by the Spanish Ministry of Economy to 1.6. Retrospective studies by most independent forecasters estimate that the rate had actually dropped to 0.8% instead, far below the strong 3% plus GDP annual growth rates during the 1997–2007 decade. Then, during the third quarter of 2008 the national GDP contracted for the first time in 15 years and, in February 2009, it was confirmed that Spain, along other European economies, had officially entered recession. In July 2009, the IMF worsened the estimates for Spain's 2009 contraction, to minus 4% of GDP for the year (close to the European average of minus 4.6%), besides, it estimated a further 0.8% contraction of the Spanish economy for 2010. The adoption of the Euro in 2002 had driven down long-term interest rates, prompting a surge in mortgage lending that jumped more than fourfold from 2000 to its 2010 apex. The growth in the Spanish property market, which had begun in 1997, accelerated and within a few years had developed into a property bubble, financed largely by regional banks, known as "Cajas", which are regional savings banks under the oversight of regional governments, and fed by the historically low interest rates and a massive growth of immigration. Fueling this trend, the Spanish economy was being credited for having avoided the virtual zero growth rate of some of its largest partners in the EU in the months previous to the global Great Recession. Spain's economy had created more than half of all the new jobs in the European Union over the five years ending 2005. At the top of its property boom, Spain was building more houses than Germany, France and the U.K. combined. Home prices soared by 71% between 2003 and 2008, in tandem with the credit explosion. 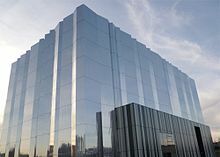 The bubble imploded in 2008, causing the collapse of Spain's large property related and construction sectors, causing mass layoffs, and a collapsing domestic demand for goods and services. Unemployment shot up. At first, Spain's banks and financial services avoided the early crisis of their international counterparts. However, as the recession deepened and property prices slid, the growing bad debts of the smaller regional savings banks, the "cajas", forced the intervention of Spain's central bank and government through a stabilization and consolidation program, taking over or consolidating regional "cajas" and finally receiving a bank bailout from the European Central Bank in 2012 aimed specifically for the banking business and "cajas" in particular. Following the 2008 peak, home prices then plunged by 31%, before bottoming out in late 2014. By 2017, following several months of prices picking up, homeowners who had been renting during the economic slump had started to put their properties back on the sales market. In this regard, home sales are expected to return in 2017 to pre-crisis (2008) level. In all, the Spanish real estate market is experiencing a new boom, this time in the rental sector. Out of 50 provinces and compared to May 2007, the National Statistics Institute has recorded higher rent levels in 48 provinces, with the 10 most populated accumulating rent inflation between 5% and 15% since 2007. The phenomenon is most visible in big cities such as Barcelona or Madrid, which are seeing new record average prices, partially fueled by short-term rentals to tourists. In the first weeks of 2010, renewed anxiety about the excessive levels of debt in some EU countries and, more generally, about the health of the euro has spread from Ireland and Greece to Portugal, and to a lesser extent in Spain. 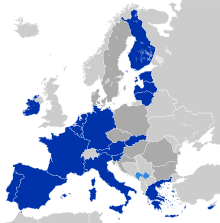 Spain is part of a monetary union, the Eurozone (dark blue), and of the EU single market. Many economists recommended a battery of policies to control the surging public debt caused by the recessionary collapse of tax revenues, combining drastic austerity measures with higher taxes. Some senior German policy makers went as far as to say that emergency bailouts should include harsh penalties to EU aid recipients such as Greece. It has been noted that the Spanish government budget was in surplus in the years immediately before the global financial crisis and that its debt was not considered excessive. At the beginning of 2010, Spain's public debt as a percentage of GDP was still less than those of Britain, France or Germany. However, commentators pointed out that Spain's recovery was fragile, that the public debt was growing quickly, that troubled regional banks may need large bailouts, growth prospects were poor and therefore limiting revenue and that the central government has limited control over the spending of the regional governments. Under the structure of shared governmental responsibilities that has evolved since 1975, much responsibility for spending had been given back to the regions. The central government found itself in the difficult position of trying to gain support for unpopular spending cuts from the recalcitrant regional governments. On 23 May 2010, the government announced further austerity measures, consolidating the ambitious plans announced in January. As of September 2011, Spanish banks hold a record high of €142 billion of Spanish national bonds. December 2011 bond auctions are "very likely to be covered" according to JPMorgan Chase. Till Q2 2012, Spanish banks were allowed to report real estate related assets in higher non-market price by regulators. Investors who bought into such banks must be aware. Spanish houses cannot be sold at land book value after being vacant over a period of years. Torres de la Casería de Ossio apartment buildings in San Fernando completed in 2007. The collapse of the Spanish construction boom was a major contributor to the record unemployment. Even though the sheer size of Spain's underground economy masks to some extent the real situation, employment is a long term weakness of the Spanish economy. By 2014 the structural unemployment rate was estimated at 18%. After having completed large improvements over the second half of the 1990s and during the 2000s, Spain attained in 2007 its record low unemployment rate, at about 8%, with a few regions on the brink of full employment. Then Spain suffered a severe setback from October 2008, when it saw its unemployment rate surge to 1996 levels. During the period October 2007 – October 2008 the unemployment surge exceeded that of past economic crises, including that of 1993. In particular, during the month of October 2008, Spain suffered its worst unemployment rise ever recorded. By July 2009, it had shed 1.2 million jobs in one year. The oversized building and housing related industries were contributing greatly to the rising unemployment numbers. Since 2009 thousands of established immigrants began to leave, although some did maintain residency in Spain due to poor conditions in their country of origin. In all, by early 2013 Spain reached an unprecedented unemployment record at about 27%. During the early 1990s, Spain experienced a period of economic crisis as a result of a larger, Europe-wide economic episode that led to a rise in unemployment rates. Many young adults in Spain found themselves trapped in a cycle of temporary jobs, which resulted in the creation of a secondary class of workers through reduced wages, job stability and advancement opportunities. As a result, many Spaniards, predominantly unmarried young adults, emigrated to other countries in order to pursue job opportunities and raise their standard of life, which left only a small amount of young adults living below the poverty line in Spain. Spain experienced another economic crisis during the 2000s, which also prompted a rise in Spanish citizens emigrating to neighboring countries with more job stability and better economic standings. Youth unemployment remains a concern in Spain, prompting researchers such as Anita Wölfl to suggest that Spain could decrease unemployment by making labor market programs and job-search assistance accessible to the most disadvantaged youth. She has also posited that this would improve Spain's weakened youth labor market, as issues with the school to work transition has made it difficult to find long-term employment. As a solution, Wölfl has suggested making improvements by matching their skills with businesses. In May 2012 a radical labor reform made for a more flexible labor market, facilitating layoffs with a view to enhancing corporate's confidence. By the second quarter of 2014, the Spanish economy had reversed its negative trend and started creating jobs for the first time since 2008. This started a trend of setting successive positive employment records. The second quarter reversal had been sudden and extraordinary considering that the number of jobs created set an absolute positive record since such quarterly employment statistics are maintained (the series starts in 1964). Labor reform seemed to play an important role; one piece of evidence cited was that Spain had started creating jobs at lower rates of GDP growth than before: in previous cycles, employment rose when growth hit 2%, this time the gain came during a year when GDP had expanded by just 1.2%. On the other side, trade unions, left, and center-left parties criticize and want the reform to be revoked, on grounds that it tilts the balance of power too far towards employers. Besides, most new contracts are temporary. Greater than expected GDP growth has paved the way for further declines in the unemployment rate. Since 2014 Spain has been registering steady annual fall in the official jobless figure. During 2016 unemployment in Spain experienced the steepest fall on record to date. By the end of that year, Spain had recovered 1.7m of the more than 3.5m jobs lost over the course of the recession. By Q4 2016 Spanish unemployment had fallen to 18.6%, the lowest rate in seven years. In April 2017 the country recorded its biggest drop in jobless claimants for a single month in the entire historical series to date. Job creation kept speeding up; in this regard, May 2017 was the best May to date in terms of social security affiliations since this record was started in 2001 and during that month jobless claims fell to the lowest figure since June 2009. At 17.2% in the second quarter 2017, unemployment fell below 4 million for the first time since 2008, with the country experiencing its steepest quarterly decline in unemployment on record to date (series starts in 1964). In 2018, at 14.6% the unemployment rate did not exceed the 15% threshold for the first time since 2008 when the crisis began. In 2019, Pedro Sánchez's socialist government increased the minimum wage by 22% in an attempt to boost hiring and encourage spending. Members of the opposition argued that this increase from ‎€736 to €900 a month would negatively affect 1.2 million workers due to their employers being unable to cover the aforementioned raise. Capital contributions from the EU, which had contributed significantly to the economic empowerment of Spain since joining the EEC, have decreased considerably since 1990 due to the economic standardization in relation to other countries and the effects of the EU's enlargement. On the one hand, agricultural funds from the Common Agricultural Policy of the European Union (CAP) are now spread across more countries. On the other hand, with 2004's and 2007's enlargement of the European Union, less developed countries joined the EU, lowering the average income per capita (or GDP per capita), so that Spanish regions which were considered to be relatively less developed, became in the European average or even above it. Spain has gradually become a net contributor of funds for less developed countries of the Union as opposed to receiving funds. With a 3.2% increase in 2015, the Spanish GDP growth was the highest among larger EU economies that year. In just two years (2014-2015) the Spanish economy had recovered 85% of the GDP lost during the 2009-2013 recession, which got some international analysts to refer to Spain's current recovery as "the showcase for structural reform efforts". By Q2 2016 the Spanish economy had been accumulating 12 consecutive quarters of growth, managing to consistently outperform the rest of the Euro area. Such growth has continued, with the Spanish economy outperforming expectations and growing 3.2 per cent in 2016, almost twice as fast as the Euro zone average. Subsequently, in the second quarter of 2017 Spain recovered all the GDP lost during the economic crisis, exceeding for the first time the output level that had been reached in 2008. The Spanish economy is forecast to remain the best-performing major economy in the Euro zone also in 2017. One of the main drivers of economic recovery is international trade, in turn sparked by dramatic gains in labor productivity. During the economic downturn, Spain significantly reduced imports, increased exports and kept attracting growing numbers of tourists; as a result, after three decades of running a trade deficit the country attained in 2013 a trade surplus which has strengthened during 2014 and 2015. Exports have shot up, from around 25% (2008) to 33% of GDP (2016) on the back of an internal devaluation (the country's wage bill halved in the 2008-2016 period), a search for new markets and a recent mild recovery of the European economy. Spanish private commercial banks played a central role in Spain's economic development, benefiting from their role as the state's creditor in the 19th century, from their ability to monetize public debt, and from state-sanctioned oligopolistic arrangements that lasted from the beginning of the 20th century until the late 1980s, when European rules forced a liberalization of the sector. It has been argued that the favorable treatment received by the main Spanish commercial banks and their close relationship to the Bank of Spain (Banco de España) following the end of the Franco regime allowed for a public-private partnership to restructure the large commercial banks into two large banks (Santander and BBVA) with the purpose of preparing the private institutions for international competition and external expansion once the European banking market was integrated in 1992 Alongside this financial mercantilism benefiting the commercial banking sector, Spanish regulators also allowed for the vast expansion of not for profit savings banks sponsored by regional governments who became heavily exposed to the housing mortgage and real estate development sectors during the Spanish economic boom of 1999–2007. Prior to 2010, the Spanish banking system had been credited as one of the most solid of all western banking systems in coping with the ongoing worldwide liquidity crisis, thanks to the country's conservative banking rules and practices. Banks were required to have high capital provisions and to demand various guarantees and securities from intending borrowers. This allowed the banks, particularly the geographically and industrially diversified large banks like BBVA and Santander, to weather the real estate deflation better than expected. Indeed, Spain's large commercial banks have been able to capitalize on their strong position to buy up distressed banking assets elsewhere in Europe and in the United States. Nevertheless, with the unprecedented crisis of the country's housing crisis, smaller local savings banks ("cajas"), had been delaying the registering of bad loans, especially those backed by houses and land, to avoid declaring losses. In June 2009 the Spanish government set its banking bailout and reconstruction fund, the Fondo de reestructuración ordenada bancaria (FROB), known in English as Fund for Orderly Bank Restructuring. In the event, State intervention of local savings banks due to default risk was less than feared. On 22 May 2010, the Banco de España took over "CajaSur", as part of a national program to put the country's smaller banks on a firm financial basis. On December 2011, the Spanish central bank, Banco de España (equivalent of the US Federal Reserve), forcibly took over "Caja Mediterraneo", also known as CAM, (regional bank) to prevent its financial collapse. [better source needed] The international accounting firm, PriceWaterhouseCooper, estimated an imbalance between CAM's assets and debts of €3,500 million, not counting the industrial corporation. The troubled situation reached its peak with the partial nationalization of Bankia in May 2012. By then it was becoming clear that the mounting real estate losses of the savings banks were undermining confidence in the country’s government bonds, thus aggravating a sovereign debt crisis. In early June 2012, Spain requested European funding of €41 billion "to recapitalize Spanish banks that need it". It was not a bailout in that it was limited to parts of the banking business (a full-fledged bailout for an economy the size of the Spanish would have reached ten or twelve times that amount). In return for aid, there was no tax or macroeconomic conditions. The interest from the loan would pay the banks themselves. This plan will be overseen by the IMF, which would not place any money. According to the statement of European Ministers of Finance, the Eurogroup will closely monitor "the correction of economic imbalances". As of 2017 the cost of restructuring Spain’s bankrupt savings banks were estimated at €60.7 billion, of which nearly €41.8 billion was put up by the state through the FROB and the rest by the banking sector. The total cost will not be fully understood until those lenders still controlled by the State (Bankia and BMN) are newly privatized. In this regard, by early 2017 Spain is considering a merger of both banks and then privatize the combined bank to recoup an estimated 400 million euros of their bailout costs. During the course of this transformation period, most regional savings banks such as CAM, Catalunya Banc, Banco de Valencia, Novagalicia Banco, Unnim Banc or Cajasur have since merged and/or been absorbed by the bigger, more international, Spanish banks, which imposed better management practices and eliminated political interference. Due to the lack of own resources, Spain has to import all of its fossil fuels. Besides, until the 2008 crisis, Spain's recent performance had shown an inflationary tendency and an inflationary gap compared to other EMU countries, affecting the country's overall productivity. Moreover, when Spain joined the euro zone, it lost the recourse of resorting to competitive devaluations, risking a permanent and cumulative loss of competitive due to inflation. In a scenario of record oil prices by the mid 2000s this meant much added pressure to the inflation rate. In June 2008 the inflation rate reached a 13-year high at 5.00%. Then, with the dramatic decrease of oil prices that took place in the second half of 2008 plus the manifest bursting of the real estate bubble, concerns quickly shifted over to the risk of deflation, as Spain recorded in January 2009 its lowest inflation rate in 40 years, followed shortly afterwards, in March 2009 by a negative inflation rate for the first time since the gathering of these statistics started. Subsequently, apart from temporary minor oil shocks, the Spanish economy has generally oscillated between slightly negative to near-zero inflation rates during the 2009−early 2016 period. Analysts reckoned that this was not synonymous with deflation, due to the fact that GDP had been growing since 2014, domestic consumption had rebounded as well and, especially, because core inflation remained slightly positive. Indeed, as the impact of cheaper fuel prices faded and economic recovery took hold, moderate inflation in the 1-2% region has made a comeback in 2017. A map of Spanish export destinations in 2006. Since the 1990s some Spanish companies have gained multinational status, often expanding their activities in culturally close Latin America. Spain is the second biggest foreign investor there, after the United States. Spanish companies too have expanded into Asia, especially China and India. This early global expansion is a competitive advantage over its competitors and European neighbors. The reason may be primarily due to the booming interest toward Spanish language and culture in Asia and Africa, but also a corporate culture that learned to take risks in unstable markets. Spanish companies invested in fields like renewable energy commercialisation (Iberdrola is the world's largest renewable energy operator), technology companies like Telefónica, Abengoa, Mondragon Corporation, Movistar, Gamesa, Hisdesat, Indra, train manufacturers like CAF, Talgo, global corporations such as the textile company Inditex, petroleum companies like Repsol and infrastructure, with six of the ten biggest international construction firms specialising in transport being Spanish, like Ferrovial, Acciona, ACS, OHL and FCC. Spain is equipped with a solid banking system as well, including two global systemically important banks, Banco Santander and BBVA. In the 2012–13 edition of the Global Competitiveness Report Spain was listed 10th in the world in terms of first-class infrastructure. It is the 5th EU country with best infrastructure and ahead of countries like Japan or the United States. In particular, the country is a leader in the field of high-speed rail, having developed the second longest network in the world (only behind China) and leading high-speed projects with Spanish technology around the world. The Spanish infrastructure concession companies, lead 262 transport infrastructure worldwide, representing 36% of the total, according to the latest rankings compiled by the publication Public Works Financing. The top three global occupy Spanish companies: ACS, Global Vía and Abertis, according to the ranking of companies by number of concessions for roads, railways, airports and ports in construction or operation in October 2012. Considering the investment, the first world infrastructure concessionaire is Ferrovial-Cintra, with 72,000 million euros, followed closely by ACS, with 70,200 million. Among the top ten in the world are also the Spanish Sacyr (21,500 million), FCC and Global Vía (with 19,400 million) and OHL (17,870 million). During 2013 Spanish civil engineering companies signed contracts around the world for a total of 40 billion euros, setting a new record for the national industry. The port of Valencia in Spain is the busiest seaport in the Mediterranean basin, 5th busiest in Europe and 30th busiest in the world. There are four other Spanish ports in the ranking of the top 100 busiest world seaports; as a result, Spain is tied with Japan in the third position of countries leading this ranking. During the boom years, Spain had built up a trade deficit eventually amounting a record equivalent to 10% of GDP (2007) and the external debt ballooned to the equivalent of 170% of GDP, one of the highest among Western economies. Then, during the economic downturn, Spain reduced significantly imports due to domestic consumption shrinking while – despite the global slowdown – it has been increasing exports and kept attracting growing numbers of tourists. Spanish exports grew by 4.2% in 2013, the highest rate in the European Union. As a result, after three decades of running a trade deficit Spain attained in 2013 a trade surplus. Export growth was driven by capital goods and the automotive sector and the forecast was to reach a surplus equivalent to 2.5% of GDP in 2014. Exports in 2014 were 34% of GDP, up from 24% in 2009. The trade surplus attained in 2013 has been consolidated in 2014 and 2015. Despite slightly declining exports from fellow EU countries in the same period, Spanish exports continued to grow and in the first half of 2016 the country beat its own record to date exporting goods for 128,041 million euros; from the total, almost 67% were exported to other EU countries. During this same period, from the 70 members of the World Trade Organization (whose combined economies amount to 90% of global GDP), Spain was the country whose exports had grown the most. In 2016, exports of goods hit historical highs despite a global slowdown in trade, making up for 33% of the total GDP (by comparison, exports represent 12% of GDP in the United States, 18% in Japan, 22% in China or 45% in Germany). In all, by 2017 foreign sales have been rising every year since 2010, with a degree of unplanned import substitution -a rather unusual feat for Spain when in an expansive phase- which points to structural competitive gains. According to the most recent 2017 data, about 65% of the country's exports go to other EU members. The Spanish benchmark stock market index is the IBEX 35, which as of 2016 is led by banking (including Banco Santander and BBVA), clothing (Inditex), telecommunications (Telefónica) and energy (Iberdrola). 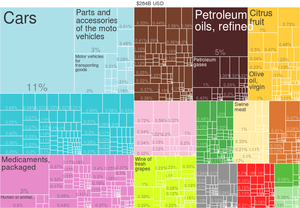 Traditionally until 2008, most exports and imports from Spain were held with the countries of the European Union: France, Germany, Italy, UK and Portugal. During the last four decades Spain's foreign tourist industry has grown into the second-biggest in the world. A 2015 survey by the World Economic Forum proclaimed the country's tourism industry as the world's most competitive. The 2017 survey repeated this finding. By 2015 the country remained the third most visited country in the world. With 75.3 million visitors, the country broke in 2016 its own tourism record for the seventh year in a row. The size of the business has gone from approximately €40 billion in 2006 to about €77 billion in 2016. In 2015 the total value of foreign and domestic tourism came to nearly 5% of the country's GDP and provided employment for about 2 million people. 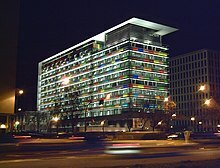 The headquarters of the World Tourism Organization are located in Madrid, Spain. Spain is one of the world leaders in renewable energies, both as a producer of renewable energy itself and as an exporter of such technology. In 2013 it became the first country ever in the world to have wind power as its main source of energy. Agribusiness has been another segment growing aggressively over the last few years. At slightly over 40 billion euros, in 2015 agribusiness exports accounted for 3% of GDP and over 15% of the total Spanish exports. The boom was shaped during the 2004-2014 period, when Spain´s agribusiness exports grew by 95% led by pork, wine and olive oil. By 2012 Spain was by far the biggest producer of olive oil in the world, accounting for 50% of the total production worldwide. By 2013 the country became the world's leading producer of wine; in 2014 and 2015 Spain was the world's biggest wine exporter. However, poor marketing and low margins remain an issue, as shown by the fact that the main importers of Spanish olive oil and wine (Italy and France, respectively) buy bulk Spanish produce which is then bottled and sold under Italian or French labels, often for a significant markup. Spain is the largest producer and exporter in the EU of citrus fruit (oranges, lemons and small citrus fruits), peaches and apricots. It is also the largest producer and exporter of strawberries in the EU. The vestiges of absolutism are persistent in agriculture. The King, the Church and the holders of titles of nobility remain the main landowners of the country, and as such benefit from European regional development aid (€1.85 million in 2003 for the Duchess of Alba). ^ "XE - the World's Trusted Currency Authority: Money Transfers & Free Exchange Rate Tools". ^ a b c d e "Report for Selected Countries and Subjects". IMF.org. International Monetary Fund. Retrieved 15 January 2019. ^ a b c d e f g h i j k l m n o p q r "CIA World Factbook". CIA.gov. Central Intelligence Agency. Retrieved 15 January 2019. ^ "Gini coefficient of equivalised disposable income - EU-SILC survey". ec.europa.eu. Eurostat. Retrieved 9 March 2019. ^ "Main results, National Statistics Institute". Retrieved 6 December 2012. ^ "INEbase / Mercado laboral /Actividad, ocupación y paro /Encuesta de población activa / Últimos datos". www.ine.es (in Spanish). Retrieved 28 October 2018. ^ "Ease of Doing Business in Spain". Doingbusiness.org. Retrieved 21 November 2017. ^ a b c Rogers, Simon; Sedghi, Ami (15 April 2011). "How Fitch, Moody's and S&P rate each country's credit rating". The Guardian. London. Retrieved 28 May 2011. ^ "Scope affirms Spain's credit rating of A- with Stable Outlook". Scope Ratings. Retrieved 18 May 2018. ^ "International Reserves and Foreign Currency Liquidity – SPAIN". International Monetary Fund. 20 May 2011. Retrieved 31 May 2011. ^ "The Economist Intelligence Unit's quality-of-life index" (PDF). The Economist. Retrieved 14 June 2016. ^ "El PIB español sigue sin recuperar el volumen previo a la crisis" (in Spanish). Expansión. 6 February 2016. Retrieved 15 June 2016. ^ a b "España recupera en sólo 2 años el 85% del PIB perdido durante la crisis" (in Spanish). La Razón. 17 October 2015. Retrieved 15 June 2016. ^ a b c d e Tobias Buck (4 January 2017). "Drop in Spanish jobless total is biggest on record". Financial Times. ^ a b c d Tadeo, María (25 May 2017). "Record Exports Give Spanish Recovery Some Tiger Economy Sheen". Bloomberg. ^ "Spain (Economy section)", The World Factbook, CIA, 23 April 2009, archived from the original on 19 May 2009, retrieved 1 May 2009, GDP growth in 2008 was 1.3%, well below the 3% or higher growth the country enjoyed from 1997 through 2007. ^ Casqueiro, Javier (19 July 2016). "Spain's deficit: Spain rejects EU deficit reprisals, insisting economy will grow above 3% this year". El País. Retrieved 27 August 2016. ^ "FMI empeora sus pronósticos de la economía española". Finanzas.com. 8 July 2009. Retrieved 20 November 2012. ^ a b c d Tadeo, María; Smyth, Sharon R. (29 November 2016). "Housing Crash Turns Spain's Young Into Generation Rent". Bloomberg. Retrieved 29 November 2016. ^ Tremlett, Giles (26 July 2006). "Economic statistics". Guardian. London. Retrieved 13 August 2008. ^ "Official report on Spanish recent Macroeconomics, including tables and graphics" (PDF). La Moncloa. Archived from the original (PDF) on 26 July 2008. Retrieved 13 August 2008. ^ Giles Tremlett in Madrid (8 June 2012). "The Guardian, Spain's savings banks' 8 June 2012". London: Guardian. Retrieved 26 April 2013. ^ Mallet, Victor (21 June 2012). "The bank that broke Spain Financial Times". Ft.com. Retrieved 26 April 2013. ^ a b c d Lluís Pellicer; Cristina Delgado (3 July 2017). "Property in Spain: Spain's new real estate boom: the rental market". El País. Retrieved 8 July 2017. ^ Maria Tadeo; Sharon R. Smyth (21 July 2017). "The Spanish Housing Market Is Finally Recovering". Bloomberg. ^ Ross, Emma (18 March 2010). "Zapatero's Bid to Avoid Greek Fate Hobbled by Regions". Bloomberg.com. Retrieved 20 November 2012. ^ Emma Ross-Thomas and Lukanyo Mnyanda. Spain, France Bond Sales Take On EU Crisis, Bloomberg 1 December 2011. Accessed: 1 December 2011. ^ a b "Iberian_Dawn". The Economist. 2 August 2014. ^ a b "EPA: Evolución del mercado laboral en España". El País. 28 January 2016. ^ García-Pérez, J. Ignacio; Muñoz-Bullón, Fernando (1 March 2011). "Transitions into Permanent Employment in Spain: An Empirical Analysis for Young Workers". British Journal of Industrial Relations. 49 (1): 103–143. CiteSeerX 10.1.1.597.6996. doi:10.1111/j.1467-8543.2009.00750.x. ISSN 1467-8543. ^ Domínguez-Mujica, Josefina; Guerra-Talavera, Raquel; Parreño-Castellano, Juan Manuel (1 December 2014). "Migration at a Time of Global Economic Crisis: The Situation in Spain". International Migration. 52 (6): 113–127. doi:10.1111/imig.12023. ISSN 1468-2435. ^ Ayllón, Sara (1 December 2015). "Youth Poverty, Employment, and Leaving the Parental Home in Europe". Review of Income and Wealth. 61 (4): 651–676. doi:10.1111/roiw.12122. ISSN 1475-4991. ^ Ahn, Namkee; De La Rica, Sara; Ugidos, Arantza (1 August 1999). "Willingness to Move for Work and Unemployment Duration in Spain". Economica. 66 (263): 335–357. doi:10.1111/1468-0335.00174. ISSN 1468-0335. ^ a b "Working in Spain: Unemployment: Social Security affiliations have best May since 2001". El País. 2 June 2017. ^ Maria Tadeo (26 January 2017). "Spain Unemployment Falls to Seven-Year Low Amid Budget Talks". Bloomberg. ^ "Jobs in Spain: Easter hirings bring record monthly drop in unemployment to Spain". El País. 4 May 2017. ^ María Tadeo (27 July 2017). "Spanish Unemployment Falls to Lowest Since Start of 2009". Bloomberg. ^ Antonio Maqueda (27 July 2017). "EPA: El paro baja de los cuatro millones por primera vez desde comienzos de 2009". El País (in Spanish). ^ Manuel V. Gómez (25 October 2018). "EPA: La tasa de paro baja del 15% por primera vez desde 2008". El País (in Spanish). ^ "Spain Takes an Economic Gamble on an Unprecedented Wage Hike". Bloomberg. Retrieved 9 February 2019. ^ "España elige el peor momento para ingresar en el club de los países ricos". Publico.es. Retrieved 13 March 2013. ^ Ampudia, David (25 August 2016). "Spain: Economic growth remains firm in Q2 despite political impasse". FocusEconomics. Retrieved 27 August 2016. ^ a b c Antonio Maqueda (30 January 2017). "GDP growth: Spanish economy outperforms expectations to grow 3.2% in 2016". El País. ^ a b Antonio Maqueda (28 July 2017). "EPA: El PIB crece un 0,9% y recupera lo perdido con la crisis". El País (in Spanish). ^ Perez, S.A. Banking on Privilege: The Politics of Spanish Financial Reform (Cornell University: 1997). ^ Spain's largest bank, Banco Santander, took part in the UK government's bail-out of part of the UK banking sector. Charles Smith, article: 'Spain', in Wankel, C. (ed.) Encyclopedia of Business in Today's World, California, USA, 2009. ^ Penty, Charles (22 May 2010). "CajaSur, Catholic Church-Owned Lender, Seized by Spain Over Loan Defaults". Bloomberg. ^ a b c Muñoz Montijano, Macarena (15 March 2017). "Spain to Recoup Bailout Funds With Merger of Rescued Banks". Bloomberg. ^ a b c de Barrón, Iñigo (11 January 2017). "Spanish bank bailout cost taxpayers €41.8, Audit Court finds". El País. ^ "Spain's Economy: Closing the Gap". OECD Observer. May 2005. Retrieved 25 April 2016. ^ Balmaseda, Manuel; Sebastian, Miguel (2003). "Spain in the EU: Fifteen Years May Not Be Enough" (ebook). In Royo, Sebastián; Manuel, Paul Christopher (eds.). Spain and Portugal in the European Union: The First Fifteen Years. London: Frank Cass. p. 170. ISBN 978-0-203-49661-9. ^ "Fomento ultima un drástico ajuste de la inversión del 17% en 2013". Cincodias.com. Retrieved 20 November 2012. ^ "España, technology for life". Spaintechnology.com. 9 August 2012. Archived from the original on 15 May 2013. Retrieved 20 November 2012. ^ "Saudi railway to be built by Spanish-led consortium". Bbc.co.uk. 26 October 2011. Retrieved 20 November 2012. ^ "Concesionarias españolas operan el 36% de las infraestructuras mundiales | Mis Finanzas en Línea". Misfinanzasenlinea.com. 11 November 2012. Retrieved 20 November 2012. ^ "La CE prevé que España tendrá superávit comercial en 2014". Comfia.info. Retrieved 13 March 2013. ^ Molina, Carlos (19 September 2016). "España, el país del mundo en el que más suben las exportaciones". Cinco Días (in Spanish). Retrieved 19 September 2016. ^ Ministerio de Economía Industria y Competitividad (22 August 2017). "Las exportaciones crecen un 10% hasta junio y siguen marcando máximos históricos" (in Spanish). Retrieved 23 August 2017. ^ "Spain has the world's most competitive tourism industry". El País. 7 May 2015. Retrieved 15 January 2017. ^ "Country profiles". Travel and Tourism Competitiveness Report 2017. Retrieved 20 November 2018. ^ a b "75 million and counting: Spain shattered its own tourism record in 2016". El País. 13 January 2017. Retrieved 15 January 2017. ^ ">> Exceptional lifestyle". Invest in Spain. Retrieved 13 March 2013. ^ Energy in Sweden, Facts and figures, The Swedish Energy Agency, (in Swedish: Energiläget i siffror), Table: Specific electricity production per inhabitant with breakdown by power source (kWh/person), Source: IEA/OECD 2006 T23 Archived 4 July 2011 at the Wayback Machine, 2007 T25 Archived 4 July 2011 at the Wayback Machine, 2008 T26 Archived 4 July 2011 at the Wayback Machine, 2009 T25 Archived 20 January 2011 at the Wayback Machine and 2010 T49 Archived 16 October 2013 at the Wayback Machine. 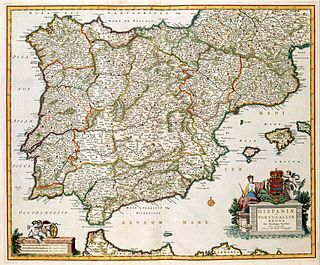 Wikimedia Commons has media related to Economy of Spain. Article: Investing in Spain by Nicholas Vardy – September 2006. A global investor's discussion of Spain's economic boom. The 2008–2014 Spanish financial crisis, also known as the Great Recession in Spain or the Great Spanish Depression, began in 2008 during the world financial crisis of 2007–08. In 2012, it made Spain a late participant in the European sovereign debt crisis when the country was unable to bail out its financial sector and had to apply for a €100 billion rescue package provided by the European Stability Mechanism (ESM).